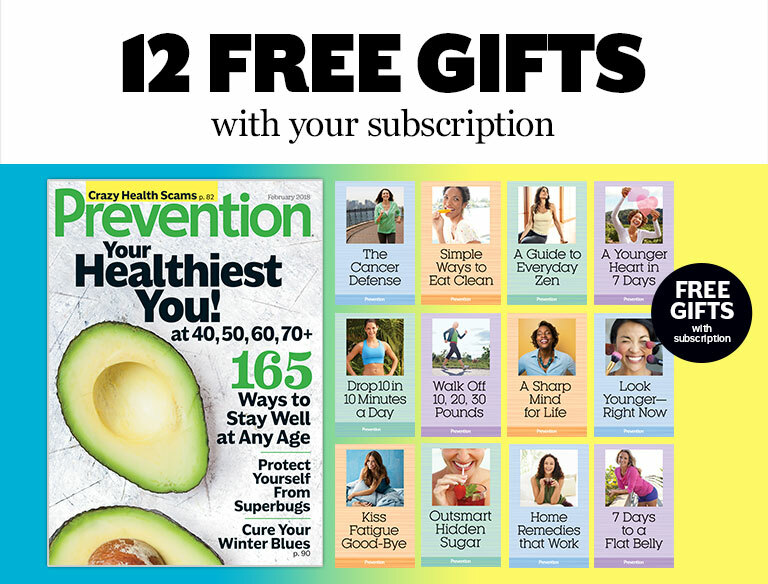 EXCLUSIVE OFFER: Get 1 year of Prevention plus 12 free health reports when you subscribe today! $22.00 (plus $1.99 shipping) for 1 year! $33.00 (plus $1.99 shipping) for 2 years!